The Walt Disney World Resort is revolutionizing travel by making Resort Check-In a totally painless process! The changes that Disney World has made through the use of their innovative technology is now the envy of the travel industry. Changing The Resort Check-In Process! One of the least desired parts of the Resort Stay is the Hotel Check-In Process. Having to wait in line to confirm your party, provide your method of payment, and get your room keys is the non-value-added part of travel that all travelers dislike. Disney World has been progressively improving the experience over the last several years by moving more of the process on-line where it can be done at the guest's leisure before they arrive and not consume part of their precious vacation. The last hurdle was picking up the room key. 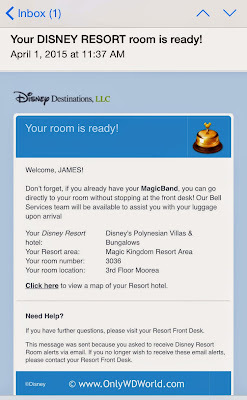 With the advent of the MagicBand and the integrated MyDisneyExperience process, Disney now had a way to get the room key to their guests well prior to their arrival. The RFID based Magic Bands are a wearable device that are uniquely linked to the wearer and contain not only the ability to be the room key, but also their park tickets, FastPass reservations, Dining Reservations, Disney's Magical Express Reservations, and even a payment system through the use of Resort Room Charge to a previously stored credit card. Starting around the end of March of 2015 Disney World started testing the process with select guests, but is now making it available to a wider audience. Disney World Guests can choose to be notified by email, text, or both! On the day of your arrival, you receive the message that your room is ready! 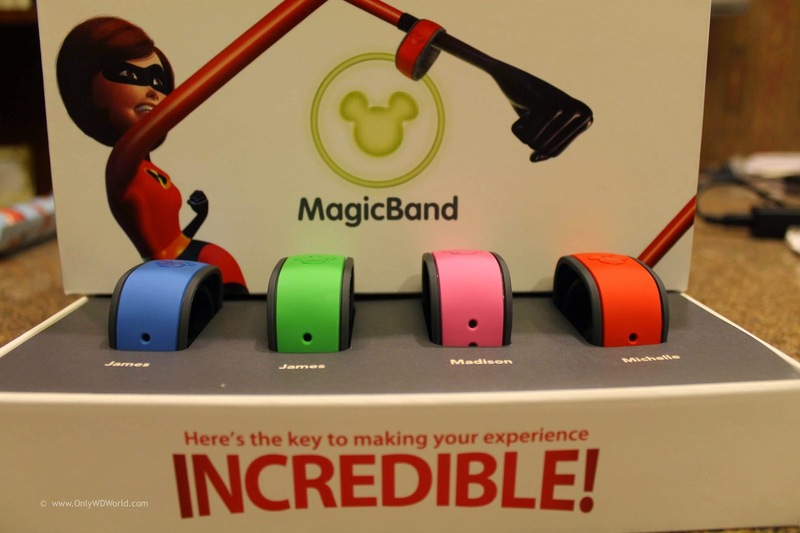 If you are familiar with the Resort you can go directly to your room and use your MagicBand as your key for entry. No need to go to the front desk, unless you would like to! This makes traveling much less painful, and Disney is leading the way in innovative customer service to take one of the least desired parts of the Resort Hotel stay and eliminate it from the process. Hopefully more hotel chains will be watching and find ways to duplicate Disney's efforts for traditional business and personal travel. 0 comments to "Disney World Resort Check-In Is Now Envy Of ALL Travelers"